This is a digression from my series of posts from Paul Johnson’s “A History of Christianity,” but the material is related, and it provides some background information for what I’ll hope to be writing about with regard to the Crusades, and how that crusading spirit was funneled into the Inquisition. These councils affirmed the Scriptural teaching that Christ was the eternal Word of God, and supplied the phrase “homoousious,” “of one substance with the Father,” that is, that Christ was the eternal God made flesh. But once this was determined, there arose questions as to precisely how God and flesh related within the person of Christ. Even at the time of Constantinople, Christological ideas were being posited and rejected. For example, Constantinople also rejected the notion of Apollinarius that in Christ, “the Word of God dwelt in human flesh in lieu and place of the human rational and intellective soul.” (from here). The next episode of the Christological controversies was precipitated by Nestorius, a representative of the Antiochene school who became patriarch of Constantinople in 428. There were always political intrigues surrounding that office, for the patriarchate of Constantinople had become a point of discord between the patriarchs of Antioch and Alexandria. The Council of Constantinople had declared that the bishop of Constantinople should have in the East a precedence similar to that which the bishop of Rome had in the West. This was a simple acknowledgement of political reality, for Constantinople had become the capital of the Eastern empire. But the bishops of the older churches in Antioch and Alexandria were not content with being relegated to a secondary position. They responded, among other things, by turning the bishopric of Constantinople into a prize to be captured for their own supporters. Since Antioch was more successful at this game than Alexandria, most of the patriarchs of Constantinople were Antiochenes, and therefore the patriarchs of Alexandria regarded them as their enemies. … For these reasons, Nestorius’ position was not secure, and the Alexandrines were looking to catch him at his first mistake. This happened when Nestorius declared that Mary should not be called theotokos – that is, bearer of God – and suggested that she should be called Christotokos – bearer of Christ. It is difficult for Protestants to understand what was at stake here, for we have been taught to reject the notion that Mary is the “Mother of God, and at first glance, this seems to be what is at stake here. But in truth, the debate was not so much about Mary as about Jesus. The question [at this time] was not what honors were due to Mary, but how one was to speak of the birth of Jesus. When Nestorius declared that Mary was the bearer of Christ, but not of God, he was affirming that in speaking of the incarnate Lord one may and must distinguish between his humanity and his divinity, and that some of the things said of him are to be applied to the humanity, and others to the divinity. This was a typically Antiochene position, which sought to preserve the full humanity of Jesus by making a very clear distinction between [his humanity] and his divinity. Nestorius and the rest of the Antiochenes feared that if the two were too closely joined together, the divinity would overwhelm the humanity, and one would no longer be able to speak of a true man Jesus. Actually, there is yet another concept wrapped up here. “Theotokos” more correctly means “God-bearer,” or as Gonzalez relates, “bearer of God.” But other theologians conflated “bearer of God” into “mother of God” (the Greek “Mater Theou”). In proposing the term “Christotokos,” Nestorius was intending to provide a caution and a mediating position against the very misunderstanding that, as we have seen, has led to all of the later emphasis on Mary throughout church history. So history has shown that Nestorius was correct with his caution. The divine Logos was not one, and another the man in whom he came to be. Rather, one was the prosopon [“person”] of both in dignity and honour, worshipped by all creation, and in no way and no time divided by otherness of purpose and will. This dispute led to the calling of another council, at Ephesus in 431 A.D. The controversies continued: in 451, Chalcedon instead used “Theotokos” language (and failed to pick up the “Mater Theou” language), and largely incorporated Nestorius’s “one-person, two-natures” theology into the definition that is held to be orthodox today. The followers of Cyril of Alexandria, however, rejected Chalcedon, adhering more to a “one-nature” (Monophysite) theology. Monophysites continued to reside largely in Egypt and Syria. Monophysitism was the only Christianity that was known to a young Bedouin named Muhammad. Uhm.. no. There were also Arians, Gnostics, and Nestorians with whom Mahomed entered in contact, and who influenced him. (Most of whom were later absorbed into Islam). I have heard the same thing about him having interaction as a child with a Nestorian monk. One should be able to track it down quickly on Google. The Gnostic influence can be seen in the legend of Jesus making a clay bird come to life and fly, found in one of the gnostic gospels but picked up by Mohammed. Again, Google should be able to provide precise citations etc. However, whatever branches he may have known, he clearly didn't understand the concept of the Trinity very well: he seems to have imagined it was Jesus, Mary, and "Allah." "he seems to have imagined it was Jesus, Mary, and 'Allah.'" I wonder where he got that idea. His Gnosticism is evident even in the Qur'an; his Nestorianism and Arianism are also. There are patristic sources (Saint John Damascene?) telling of his encounters with a certain heretic monk (Arian or Nestorian), whose name I don't recall, and who influenced him. Etc. (You can do the research for yourself, it's hardly a secret or anything). I've removed the questionable portion of the last paragraph. Whatever form of Christianity that Muhammad knew about is less important than all of the events that I've related in the main body of the post. You're a Nestorian. Just admit it. Hey, not even Nestorius was a Nestorian! "Nestorianism" was a figment of Cyril's imagination, promulgated as a full-blown heresy by a council of thugs (under the guise of bishops) who enacted Cyril's agenda. You're not infallible, so put a sock in it. Nor was Cyril an Apollinarian. The problem with Nestorius wasn't that his theology was, ipso facto, heretical in that day and age, but that it was so insufficient as to break under the consequences of its own, albeit unintended, presuppositions. Didn't think I'd get this cranked out before leaving for today, but I've offered a more substantial argument on my blog HERE. Further (sorry for not including this in the first comment), I'd like to ask: Why the distinction between "God bearer" (which Nestorius specifically and infamously hated) and "Mother of God"? Who do you call the one who bore you? Is she not your mother? Does this make her the One who "created" you, or does the point of origin remain firmly as the Father? Why, then, the irrational idea that calling Mary "Θεοτóκος" would invariably be grounds for calling her the creatress, or whatever, of the Word of God? Who do you call the one who bore you? Is she not your mother? Yes. And Mary was Jesus' mother. Where does anyone dispute the title "Jesus' mother" for Mary? Does this make her the One who "created" you, or does the point of origin remain firmly as the Father? It's the latter. God created me. My mom bore me. David B, I don't believe I suggested that Cyril was an Apollinarian. So I'm not sure why you brought that up. To what degree would you say that Chalcedon "corrected" the definitions at Ephesus? To be sure, there was some political wrangling in the meantime. But Chalcedon did two things: it clearly articulated "two natures in one person" in Christ, which was a key and vital concern for the Antiochenes, and it also failed to use "Mater Theou," instead using Theotokos for Mary. It's not just me making that distinction. A whole council did so. Yes, my mother bore me, but I am not the Logos, either. You are making an equivocal usage here, as if somehow I am equivalent to Christ. There is more at stake. "Mary was Jesus' mother. Where does anyone dispute the title "Jesus' mother" for Mary?" Well, you won't find me disputing the title "Jesus' mother." But, as Jesus is God in the flesh, she is also the mother of God, since the one she gave birth to in the flesh was God. "God created me. My mom bore me." Exactly. The Father begot the Son eternally and divinely. Mary conceived, bore, gave birth to, nursed, and raised the Son of God who is divine, even as He is also human. God's mom bore God in the flesh as Θεοτóκος. "David B, I don't believe I suggested that Cyril was an Apollinarian. So I'm not sure why you brought that up." Well, against the charge that somehow St. Cyril didn't confess the full humanity of Christ (Moffett 170-171 in your post) and that "Nestorius wasn't Nestorian" (apparently based on a Kallistos Ware soundbyte...mind telling me which one to listen to?...and Moffett 177), it seemed prudent to bring up Apollinarius' heresy, since St. Cyril often gets lumped in with him, at least to a degree. "To what degree would you say that Chalcedon "corrected" the definitions at Ephesus?" Specifically, the phrase ἐκ δύο φύσεων (from two natures) which was used to defend St. Cyril's one-time catch phrase of μία φύσις τοῦ θεοῦ λóγου σεσαρκωμένη (the one incarnate nature of God the Word) was changed to δύο φύσεων (of two natures) at the Formula of Reunion (433), which was then later subsumed by ἐν δύο φύσεσιν (in two natures) at Chalcedon. The realization, however, that Christ was still in two natures in no way denied the definition at Ephesus which stressed the oneness of the person (υπóστασις, or concrete individual; not πρóσωπον, or mask, which still condemns even Nestorius' later saying which Moffett cites on p. 177). ...and it also failed to use "Mater Theou," instead using Theotokos for Mary. But, you see, the controversy was not over the term η μητέρα τοῦ θεοῦ in the first place. Nobody was calling Mary that then. The term that was being used--the term that Nestorius feared would lead to mariolatry or what have you--was not η μητέρα τοῦ θεοῦ but Θεοτóκος. Nestorius could not bring himself to say that an infant was God. So when you say, "It's not just me making that distinction. A whole council did so," it really is you making the distinction: once the title Θεοτóκος was accepted at Ephesus and later again at Chalcedon, no one made any distinction between the one who bore the Word of God made flesh and the mother of the Word of God made flesh (which is what Cyril stated in his first anathema in his third letter to Nestorius--"for she gave fleshly birth to the Word of God made flesh – γεγέννηκε γὰρ σαρκικῶς σάρκα γεγονότα τὸν ἐκ θεοῦ λόγον") Why would anyone make any distinction between one's bearer and one's mother when they are always the same woman? "Yes, my mother bore me, but I am not the Logos, either. No, but you are fleshly just as He was and is, and your mother bore you just as the Θεοτóκος bore ο Θεóς as His mother. "You are making an equivocal usage here, as if somehow I am equivalent to Christ. There is more at stake." You are both flesh and spirit, yet your mother did not simply give birth to "your flesh"; she gave birth to you. Likewise, Mary did not simply give birth to the flesh of Christ; she gave birth to Christ, in the flesh, and Christ is God. His incarnation in no way diminishes the import of the self-same identity of the Son of God with the son of David -- He is both one and the other, from Annunciation to Ascension, and thus the One in Mary's womb, the One to Whom she is mother, is the divine Word of God--enfleshed, yes, but no less divine!--and thus she is truly the mother of God: Θεοτóκος. But, as Jesus is God in the flesh, she is also the mother of God, since the one she gave birth to in the flesh was God. True, and I've never disputed that either. However, it is equally as true to say that Mary is the mother of a man, since the one she gave birth to in the flesh was a man. To be the most specific, it is best to say "Mary is the mother of Jesus". This is the best descriptor, better than the two suboptimal and incomplete (but still accurate) statements: Mary is the mother of a man; Mary is the mother of God. Since I prefer the best, optimal, most accurate and complete descriptors, especially when talking about God and the Incarnation, I use "Mary is the mother of Jesus". Everyone should, to avoid confusion. Please let me know if this is wrong and if so, why. "Since I prefer the best, optimal, most accurate and complete descriptors, especially when talking about God and the Incarnation, I use "Mary is the mother of Jesus". Everyone should, to avoid confusion. Please let me know if this is wrong and if so, why." Well, because it doesn't, in and of itself, say enough about who Jesus is; you're assuming that everyone involved will come to a discussion with an understanding of Christ's divinity. The title "Mother of God" stresses what Nestorius was reticent to say and what most folks today absolutely will not say, namely, that the one begotten of the Father before all ages is the self-same one as the one to whom the Virgin gave fleshly birth. If you want maximum clarity for today's world, there's St. Cyril's anathema against Nestorius, who would not say that "she gave fleshly birth to the Word of God made flesh"(γεγέννηκε γὰρ σαρκικῶς σάρκα γεγονότα τὸν ἐκ θεοῦ λόγον) and is therefore Θεοτóκος...Mother/Birthgiver/Bearer of God...all of which are the English terms I would use. People today know you can't bear a specter or a spirit in your womb. But if she is called Θεοτóκος or η μητέρα τοῦ θεοῦ (I still fail to see how the latter is saying anything different), then the One to whom she gave birth is God. This asserts, imo, the more pressing evangelical need in today's world -- that the One born of a virgin is no mere man, but divine. I have yet to see anyone, outside of polemically-trained Protestants (oh, and Nestorius), assert that "Mother of God" means that she gave rise to the immortal, second Person of the Trinity. Well, because it doesn't, in and of itself, say enough about who Jesus is; you're assuming that everyone involved will come to a discussion with an understanding of Christ's divinity. [shrug] Who understands much of involved theology unless they study it a bit? I'm more than happy to explain further, but I don't want to give them an incorrect assumption. Besides, you're not talking to novices here - why not be the most precise possible? The title "Mother of God" stresses what Nestorius was reticent to say and what most folks today absolutely will not say, namely, that the one begotten of the Father before all ages is the self-same one as the one to whom the Virgin gave fleshly birth. OK, but that doesn't address my point, and we aren't reticent to say it! But why say that when we can say something BETTER? "she gave fleshly birth to the Word of God made flesh"
Yes, I agree - that's outstanding! Far better than "Mother of God" b/c it handles ALL of the Incarnation. Whoa, whoa, whoa, where's the supporting argument? Again, it's just as good to say "is therefore man-bearer", and, again, it's yet better to say "is therefore Christ-bearer". 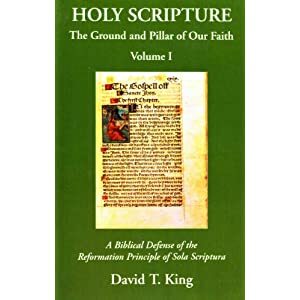 David B: It is in video #1 in which Kallistos Ware says that Nestorius was not guilty of the Nestorian heresy. Of course, you must know, too, that while one Bishop does not constitute an Orthodox acceptance of this fact, in 1994 John Paul II signed a "Common Christological Declaration" which in fact accepted Nestorius's appellation of "Christotokos" as a "legitimate and "right" expression of "the same faith". If anyone does not confess that Emmanuel is God in truth, and therefore that the holy virgin is the mother of God (for she bore in a fleshly way the Word of God become flesh), let him be anathema. In the Latin, this is Mater Dei. The council of Chalcedon, on the other hand explicitly used the verbiage, "Mary, the virgin God-bearer as regards his humanity." This is the language that the Reformed have not objected to. The Reformed accept the definition of Chalcedon, in which "God-bearer" which is the more literal translation "Theotokos". Christ is wholly God, and she did bear him. "Mother of God" is a looser translation that many in history have taken to mean that Mary had something to do with the "Godness" of Christ. The danger in this is exactly what we've seen. In using this phrase to say something about Christ, people have also added baggage onto it and used it to assume that it then says something about Mary. But there are Scriptural ways of saying "Jesus is God." There are Scriptural ways of saying precisely how this is so. To bring Mary into it, while it "says something about Jesus," really exposes one to error. And we have seen both the Roman and Eastern Orthodox churches fall into this error in a big way. And still less does one seminarian constitute such the other way 'round. My apologies for a lack of a response. Work's been heavy the past couple of days; I plan to respond tonight. "Who understands much of involved theology unless they study it a bit?...Besides, you're not talking to novices here - why not be the most precise possible?" Indeed, involved theology requires further inquiry. As to your first question I've quoted, I agree, though it seems that the question could go either way: Why not use Θεοτóκος and then study it the other way -- that this God Whom she bore, she indeed bore in the flesh upon his self-emptying? Your argument doesn't seem to work here, no? "...we aren't reticent to say [that Christ is divine]! But why say that when we can say something BETTER?" "[Cyril's longer definition is f]ar better than "Mother of God" b/c it handles ALL of the Incarnation...where's the supporting argument [that you should use Θεοτóκος]?" Again, it's just as good to say "is therefore man-bearer", and, again, it's yet better to say "is therefore Christ-bearer". 1) I see Θεοτóκος as encompassing all the incarnation, as well, and being not only a perfect, one-word boiling down of St. Cyril's 12th anathema because she physically bore the One Who is God -- thus the divinity of Christ is seen in the Θεο, the human in the τóκος. One cannot be the τóκος of someone else if that one does not have flesh. 2) It is not "just as good to say, 'is therefore man-bearer,'" and not necessarily "better to say, 'is therefore Christ-bearer,'" since neither of those terms force the confessor thereof to believe that the One in her womb was divine. St. Cyril rightly saw that, in order for both the divinity and the humanity of Christ to be explicitly confessed, from the beginning of his nativity on, Mary must be called nothing less than Θεοτóκος, for anything else could skirt around His divinity if one wanted to do it. As it stands, Θεοτóκος is a perfectly sound confession of the incarnation, as per my first point. And, John, a quick answer to a language issue in your post: Where the Latin says Mater Dei, the Greek says Θεοτóκος. I'll talk more later. Peace on this Lord's Day. "I don't see how they can [accept the term Χριστοτóκος] and at the same time not admit they made a big doctrinal error." It would, indeed, be a thorny issue, and I am glad that it is a RC pope saying that Nestorius was confessing "the same faith" and not someone of like standing in the OC. Like I said to Rho, Χριστοτóκος is fine with me as long as the consubstantial divinity with the Father is assumed. Apart from that, I would and do insist on using Θεοτóκος. "It's very telling that this phrase ["the one incarnate nature of God the Word"] was what was adopted by the council of Ephesus." I suppose, but then again, the council of Nicaea stated that anyone who confesses that the Son is of the same ουσíα as the Father is to be anathema; it was not until later councils that the language evolved to make a distinction between ουσια and υπóστασις. I fail to see how Ephesus presents an insurmountable problem, given that both Ephesus and Chalcedon were (successful) attempts to safeguard against the identification of the Son of God as someone other than the self-same Son of David and avoid the tendency to divide the two into two distinct πρóσωπα. "And it's also very telling that even though Cyril agreed to the "Formula of Reunion," the rest of Alexandria did not. And why should they be expected to? They had the word of a council vs., as they saw it, the word of a back-deal compromise." I certainly would have been suspicious of it at the time. Not until Chalcedon would the language of self-same person in two natures present language to which Alexandria could not reasonably submit to. Δύο φύσεων could have been taken as "two people" at the time of the Formula of Reunion, while ἐν δύο φύσεσιν, when coupled with the single υπóστασις of the Word made flesh was much less ambiguous and precluded the Alexandrian issues. "[There is no doubt a difference between "apollinarianism" and "monphysitism".]" Indeed. Why did you bring this up? "The council of Chalcedon, on the other hand explicitly used the verbiage, "Mary, the virgin God-bearer as regards his humanity." This is the language that the Reformed have not objected to." In both the 1st Anathema of St. Cyril in his third letter to Nestorius as accepted by Ephesus and in the Council of Chalcedon, the Virgin Mary is titled Θεοτóκος, and this is because she "bore the Word of God in the flesh." The title Θεοτóκος is interchangeable with the title "Mother of God," and in neither term is there any inherent hint that she had something to do with Christ's divinity. She bore a fleshly baby, yes, but that baby was God. "Mother of God" is a looser translation that many in history have taken to mean that Mary had something to do with the "Godness" of Christ. That is due to their own ignorance. "The danger in this is exactly what we've seen. In using this phrase to say something about Christ, people have also added baggage onto it and used it to assume that it then says something about Mary. It does say something about Mary. The altar is sacred because of the infinitely greater Word inside it, but the altar is, itself, sacred, albeit in a derivative sense. "And we have seen both the Roman and Eastern Orthodox churches fall into this error in a big way." And here we disagree, though this may be where the conversation will eventually head. Meanwhile, we stay with conciliar definitions...? "Not until Chalcedon would the language of self-same person in two natures present language to which Alexandria could not reasonably submit to." "Not until Chalcedon would the language of self-same person in two natures present itself as language to which Alexandria could not reasonably object." Hope you're doing OK apart from your ladies. As a veteran of once being separated 5 weeks from my sweetheart when she went to Japan and I had to wait to go... I can feel your pain. Why not use Θεοτóκος and then study it the other way -- that this God Whom she bore, she indeed bore in the flesh upon his self-emptying? You certainly could, and I haven't argued that Θεοτóκος is INcorrect. Simply that it's non-exhaustive, whereas Christotokos is exhaustive. I don't know why we wouldn't just stick with the most correct terminology and go from there. Why? So we can give them a whiff, due to their ignorance, of Docetism or something? Theotokos does, if you know about the Incarnation. But then you're back to talking about someone who knows some basic facts about the Incarnation! So, again, Christotokos comes out better. Besides, "theos" does not by itself communicate anything about the Incarnation. But "Christ" does. Again, it is 100% correct ALSO to say "she physically bore the One Who is man". So how is that more helpful to anyone than "she physically bore the God-man"? One cannot be the τóκος of someone else if that one does not have flesh. I guess I never thought of it that way, so good point. But again, that requires some fleshing out (pun fully intended)...why not just use the most precise term since you're going to have to do a little explaining? It is not "just as good to say, 'is therefore man-bearer,'"
So Jesus is more God than He is man? since neither of those terms force the confessor thereof to believe that the One in her womb was divine. "Christ-bearer" certainly does! People don't get to just make up their own definitions of Who Christ is. Or, if "Christ" as label/name is subject to that problem, then so is "theos". Talk to any Mormons or Hindus recently? You seem to be playing fast and loose with the word "sacred" here. Christ, the Word, was in the world. Got donkey poo on his toes. Probably had his ankles torn up by those stubborn Israeli thorns. Even got scourged and nailed to a cross by sinful men. Christ requires no "help" from an "altar" or "ark" or whatever you want to say to be holy and sacred. At the same time, just b/c Christ is present inside something doesn't make that something or someone automatically holy! Not unless He chooses to make it holy, but that's a separate work from simply being present there. It's also funny that you use this kind of language about Mary and her as "sacred altar" and yet disbelieve in the NT doctrine of regeneration and justification of the believer by God's grace alone (since adding works to grace obliterates grace), wherein the believer in Jesus is actually seen as perfect in the eyes of God by the alien imputed righteousness of Jesus, b/c the believer carries Christ within him/her and is in union with Christ. Hope you're doing OK apart from your ladies. "Θεοτóκος is...non-exhaustive, whereas Christotokos is exhaustive." You really think that Χριστοτóκος is more specific given that most people today--and, for that matter, most of the heretics of the conciliar period--do not assume that ο Χριστóς=ο Θεóς? You admitted that θεο and τóκος referred to God and man respectively; why the insistence on using a term that, on its face, really only means an anointed man when you could say that He is God who was borne of a fleshly virgin? "Why? So we can give them a whiff, due to their ignorance, of Docetism or something?" Not if we call her "truly Θεο-τóκος. "Besides, "theos" does not by itself communicate anything about the Incarnation. But "Christ" does." No, o Χριστóς only refers to "the anointed one," and has historically been seen as a man. Nestorius taught that o Χριστóς had been assumed by ο Λóγος and was thus, as a man, given the name above every name--which, according to Nestorius, made no sense if o Χριστóς was identified as ο Λóγος from Nativity on. It seems to me that it is you who are assuming too much about peoples assumption about Χριστοτóκος; it is not the more precise, more specific language for the God bearer. DB: "It is not "just as good to say, 'is therefore man-bearer,'"
RHO: "So Jesus is more God than He is man?" Illogical leap. It is more precise, as you keep insisting, to say that Mary is Θεοτóκος than it is to say she is ἄνθρωποτóκος, since anyone can bear a man; she bore God, and could only do so were he in the flesh. Further, Θεοτóκος is even more precise than Χριστοτóκος because the latter only says that she bore an anointed one; no explicit reference to His divinity anywhere in that term. Again, the latter is useful for places like this, but little else. Θεοτóκος is the much more forceful, precise, specific term for "she who bore Him Who is God." "People don't get to just make up their own definitions of Who Christ is. I'd agree that there's only one right definition, but that doesn't stop folks from having their opinions, and it's vital that we be as specific as possible in responding that the babe in the manger is not just a good teacher, not just an anointed prophet, but God. You said you agreed that the breaking apart of the two words of Θεοτóκος led to an understanding of God-who-was-borne-in-the-flesh. This was the primary reason for and history behind the term. I fail to see how you object so strongly to such a blatantly incarnational term in favor of a weaker one. "Or, if "Christ" as label/name is subject to that problem, then so is "theos". Talk to any Mormons or Hindus recently?" It's that little article "o" that clarifies all that. Again, requires less unpacking. "Christ requires no "help" from an "altar" or "ark" or whatever you want to say to be holy and sacred." Agreed. Neither did the Law need any "help" from the ark that carried it to be made holy; said ark was what benefited and was thus made holy. "At the same time, just b/c Christ is present inside something doesn't make that something or someone automatically holy!" "Not unless He chooses to make it holy, but that's a separate work from simply being present there. Well, she was highly graced and had found favor (not simply "given" it) with God, blessed above all women, the holy spirit overshadowed her, and something holy came from the wedding of her flesh with the Holy Spirit. She heard the word of God, submitted to it, and kept it. That sounds enough like someone who's been made holy to me. "...wherein the believer in Jesus is actually seen as perfect in the eyes of God etc..."
Not "seen as perfect" -- made holy. Whether "sinless" is an issue here or not is irrelevant; she was set aside and holy, as were the instruments and priests of the OT (though they were not ideally crafted or sinless), only more wholly set apart. She housed God with her "Let it be." Her "yes" untied the first Eve's "no." Good enough for me. You really think that Χριστοτóκος is more specific given that most people today--and, for that matter, most of the heretics of the conciliar period--do not assume that ο Χριστóς=ο Θεóς? Yes, it is more specific b/c it avoids the confusion of Who exactly was borne in Mary's womb. "Theos" leaves open, at minimum, the possibility of thinking that the Father or the HS were incarnated. why the insistence on using a term that, on its face, really only means an anointed man when you could say that He is God who was borne of a fleshly virgin? B/c I reserve the right to define my own terms. As a bonus, I get to exalt Christ by explaining to someone that Christ is indeed very God of very God, Who took on flesh to save a people for His own possession! I find the way you're going about this a bit strange. On the one hand, you don't want people to doubt that Christ is God and so you want to say "theo". OTOH, you seem not to ask the same question about "tokos". Why not just use the most specific terms in all cases? No, o Χριστóς only refers to "the anointed one,"...Θεοτóκος is even more precise than Χριστοτóκος because the latter only says that she bore an anointed one; no explicit reference to His divinity anywhere in that term. Only if we say that word devoid of even the barest of Christian context. But as you said, you really think most of the heretics of the conciliar period do not assume that ο Χριστóς=ο Θεóς? I'm with you there - "Christotokos" is not the most precise, most specific language for the God-bearer. This is basically a tautological statement that carries no meaning. Whether she was more precisely the God-bearer or the Christ-bearer (she was both, of course, but the latter is more specific) is what is in question. And she is anyone. She is a woman. She bore a baby Who is 100% man. she bore God, and could only do so were he in the flesh. She bore the God-man. Again, I have to keep pointing out that saying "Christ" is more specific than saying "God". Θεοτóκος is the much more forceful, precise, specific term for "she who bore Him Who is God." But, again, it is also true and just as true that "she bore Him Who is a man". But somehow "theos" doesn't encounter this problem? Why not? I fail to see how you object so strongly to such a blatantly incarnational term in favor of a weaker one. So "theos" is more clearly incarnational than "Christos"? Depends who you're talking to. Why would the "o" clear it up, for someone ignorant of the context, and/or of Greek? I don't see how this isn't subject to the same problem. You know, it's very, very disconcerting to see you guys, RCs and EOx alike, use these quasi-sexual terms with respect to the Incarnation. It is bizarre at best. she was set aside and holy, as were the instruments and priests of the OT (though they were not ideally crafted or sinless), only more wholly set apart. She housed God with her "Let it be." Well, yes, of course. And yet not perfect. See, I think you still lack the categories to properly see this work out correctly. Is the believer sinless in real life living? No, not even close. Is the believer holy and set apart? Yes, b/c of Christ's alien imputed righteousness. Was Mary sinless or immaculately conceived? No, not even close. Is Mary set apart and holy b/c she believed, b/c she said "Let it be", b/c she housed the God-man? Yes, again b/c of Christ's imputed righteousness. If you think it was not by God's righteousness, you have to explain where she got her righteousness, especially remembering that she made a sin offering for atonement for sin, as I said in this post. If she offered the sacrifice and didn't need to, as Matthew Schultz astutely said, that would also be a sin.